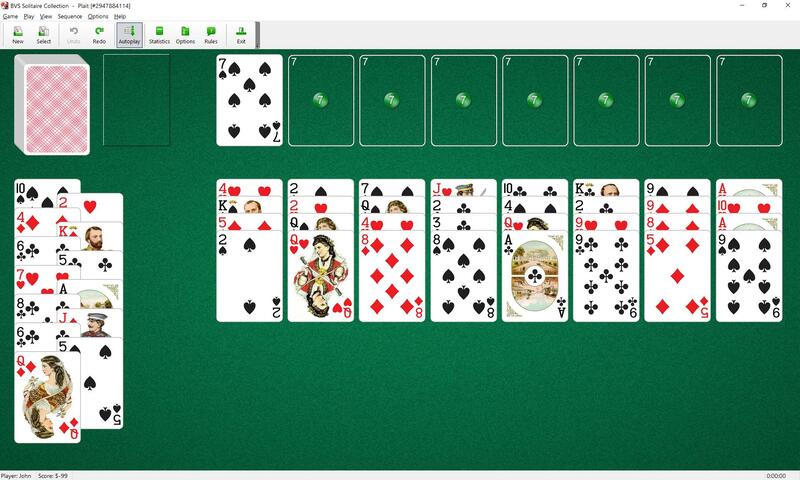 This solitaire uses 104 cards (2 decks).13 cards are dealt in the form of a plait. This is the open reserve. The next 32 cards are dealt into 8 tableau piles (with 4 cards per pile). The next card is placed above. This will be the starter card of the foundations. The seven other cards of the same rank will be placed next to it during play as soon as they are available. To build the foundations up in suit until each pile contains thirteen cards, wrapping from Ace to King as necessary. You may build tableaus down in sequence and alternating color. Only the top card of each tableau pile and the reserve pile is available for play on the foundations. One card or group of cards in the proper sequence can be moved to another tableau pile. 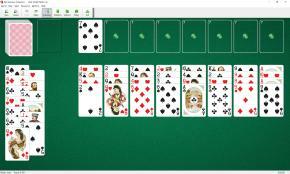 When a tableau becomes empty you can fill the space with any card or legal sequence of cards.